What is more difficult than taking a standardized test? For most people, preparing for that exam is harder than the experience of the exam itself. The struggle to get oneself ready for the exam is where much of the real leg work comes in. So how can we make sure that we stay on track with our test prep? Of course, you want to make a reasonable study plan that helps you avoid common pitfalls, overcome distractions during the time you've allotted for studying, and stop mistaking the illusion of studying for actual progress. But even if you have done all of these things, it can still be difficult to get into a regular rhythm of getting test-ready. What it boils down to is needing accountability. Accountability is a willingness to accept responsibility. This concept is not unique to test prep or even education. You will find this idea in everything from dieting advice to business books. Why? Because these often involve difficult, long-term goals that can only be met with diligence and consistency. So, how can you hold yourself more accountable in order to keep up with your study plan? Here are 6 great ways to stick to those #TOEFLgoals. 1. Find an accountability partner (or two). This is an incredibly common tactic for increasing accountability easily. Chances are if you are studying for the exam, you know of at least one other person doing the same thing. Send your partner a message at the beginning of the week with your specific plan and goals for the week. Then on a designated day, follow up with a call on FaceTime or Skype to chat about the progress that you've made. An added benefit is that if you are struggling with a certain area, you could ask your partner if they have any advice. Steal another idea from the business world and start a TOEFL mastermind group. You could start a Slack account (it's free) to message one another when issues come up and have one channel for each of the different sections. This will help you stay organized. A bonus to using Slack is that you can share links and files within in the chat, so you can ask your partners to review a speaking response that you recorded or an essay that you've written. You are probably a member of Facebook groups already, but have you thought about leveraging this group to help increase your accountability? When you set goals in front of the group, you are more likely to achieve them. Join a Facebook group that allows you to keep a running progress log, where each week you set goals. Though you might not get direct feedback like you would with a partner of a mastermind style group, this is a great place to feel like you are making a public declaration that you must stick to and get encouragement from people who are doing the same thing that you are doing. Don't know where to post? Coming soon I will be opening the brand new Test Obsessed private Facebook group for you to join, complete with a thread exactly for this purpose. You might even start there and meet some folks that become accountability partners. Thank you! You will be the first to know when this private group goes live! 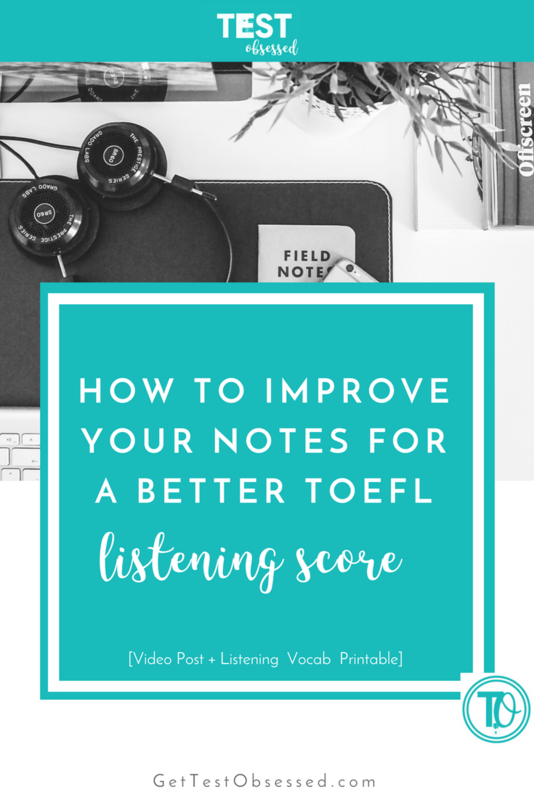 In the mean time, be sure to check your email for even more TOEFL practice and pointers. If you are very brave or you are addicted to posting what you are doing to your Twitter or Instagram streams, why not use that as your motivation? Sharing with hundreds (or thousands) or your closest friends what you hope to achieve for the week and then being able to tell them that you did it at the end of the week will feel amazing and certainly lead to lots of applauding emojis! 👏🏻 This works on the same premise as posting before and after photos when dieting and exercising and for some people, this might be enough to get them to stick to their goals. Use the same hashtag to find others doing the same thing so you can cheer them on. You won't want to let those who follow you down, so you are more likely to hit the goal you had set forth. For those on the opposite end of the personality spectrum, you may want to keep a more private record of your achievements. While it is still important to set a clear goal in writing, you may want to do it the old fashioned way: using paper and pen to see your progress. If this seems attractive to you, make sure that you don't cheat by putting your log in a place that is seen frequently. You may even want to keep a copy of it in more than one place. While any version that allows you to write your goal, time spent, and measure whether or not the goal was achieved will work, attaching it to a calendar or planner can be even more useful. Like the idea of tracking your progress privately but want to bring this technique into the 21st century? Use a digital tracker to do so. Go one step further by keeping tabs of the amount of time you have stayed on track for using apps like Streak or Momentum. You could always use a tool like this in conjunction with a paper and pen tracker to log specific progress. Last but certainly not least is journaling to stay accountable. Journaling is all the rage right now. You may have heard of the 5-minute journal, the bullet journal or a host of others. While the particular method isn't important and you should use the one that you most identify with, the reflective nature makes this method a bit deeper than some of the other accountability strategies. Additionally, it gives you yet another opportunity to write in English, which is a huge fringe benefit. Grid Diary's clean interface and customizable questions make it a great tool for getting test-day ready. There is a free version of this app, so there is no reason not to try it out. A side benefit is that this will also allow you to practice typing on a QWERTY keyboard. It is one of my favorite apps of all time, so be sure to check it out. Don't feel like you have to select only one method--accountability partners, progress logs, social sharing, paper trackers, digital streak trackers, or journaling-- of holding yourself to the goals that you set. If you want to share the results of a perfect week in your streak of independent essay writing in a status update on Facebook or with a study partner, by all means, you should do so. Mix and match as you please, but make sure to keep consistent with both your primary accountability tactic-- which will ensure consistent practice for the exam and an increase in your score. Need an idea of what to track? 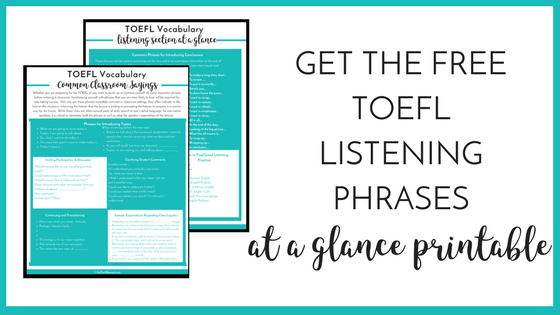 Grab the free One Month TOEFL Writing Challenge printable here. Thank you! Click here for your free One Month Writing Challenge printable.